OXFORD, England (Reuters) – A new method of analyzing images from CT scans can predict which patients are at risk of a heart attack years before it occurs, researchers say. The technology, developed by teams at Oxford University and institutions in Germany and the United States, uses algorithms to examine the fat surrounding coronary arteries as it shows up on computed tomography (CT) heart scans. That fat gets altered when an artery becomes inflamed, serving as an early warning system for what one of the researchers believes could be up 30 percent of heart attacks. “If you are able to identify inflammation in the arteries of the heart then you can say which arteries … will cause heart attacks,” Oxford Professor of Cardiovascular Medicine, Charalambos Antoniades, told Reuters. Most heart attacks are caused by a build-up of plaque – a fatty deposit – inside the artery, which interrupts the flow of blood. Currently, CT scans tell a doctor when an artery has already become narrowed by plaque. 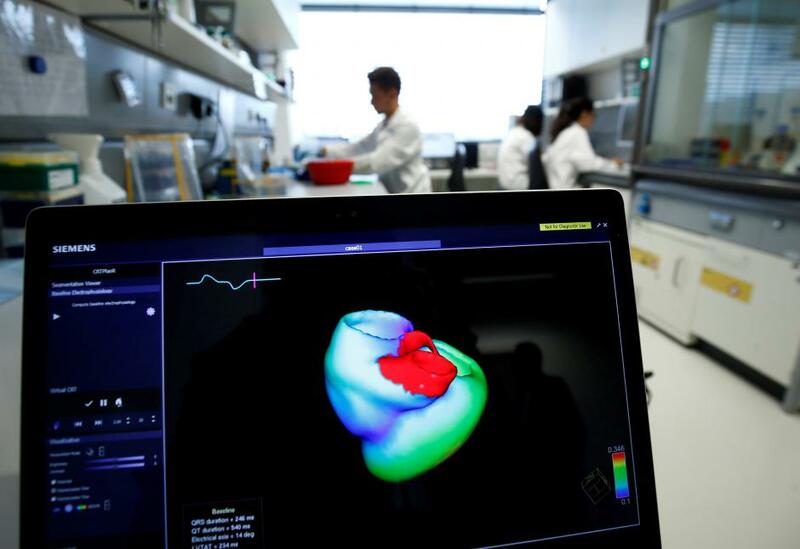 With the new technology, for which the researchers hope to gain regulatory approval on both sides of the Atlantic within a year, doctors will be able to say which arteries are at risk of narrowing. “(We) can say …your arteries are inflamed and a narrowing will be developed five years down the line. So maybe you can start preventive measures to avoid this formation of the plaques,” Antoniades said. Heart disease and stroke are the two biggest causes of death worldwide. “Although we have not estimated the exact number of heart attacks that we can prevent, we could potentially identify at least 20 or 30 percent of the people before they have (one),” Antoniades said. An Oxford University spin-off company is now developing a service to analyze CT scans from across the globe in around 24 hours. The research was published in late August in medical journal The Lancet.